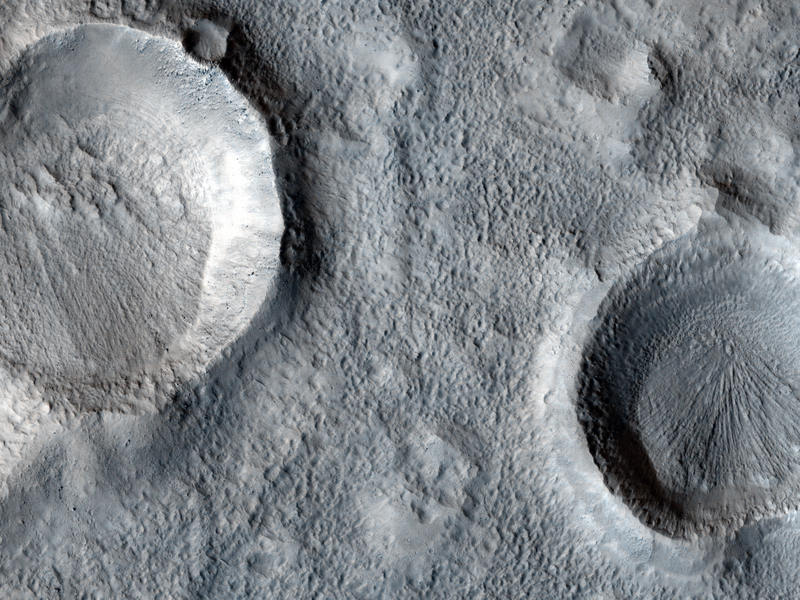 A northern mid-latitude scene consisting of craters, intercrater plains, and mantled material is visible in this HiRISE image. The mantled material seen here covers much of the middle latitudes in both hemispheres of Mars; it has been visibly removed in some locations. It's called "mantled" because it looks as if it's just draped over, or mantling, the topography underneath. The mantled material is what causes the craters to have a muted, softened appearance. It's thought to be ice-rich material deposited in a climate different from that of today. The mantled unit is dissected here, meaning that is not pristine and has likely undergone modification since it was originally laid down. 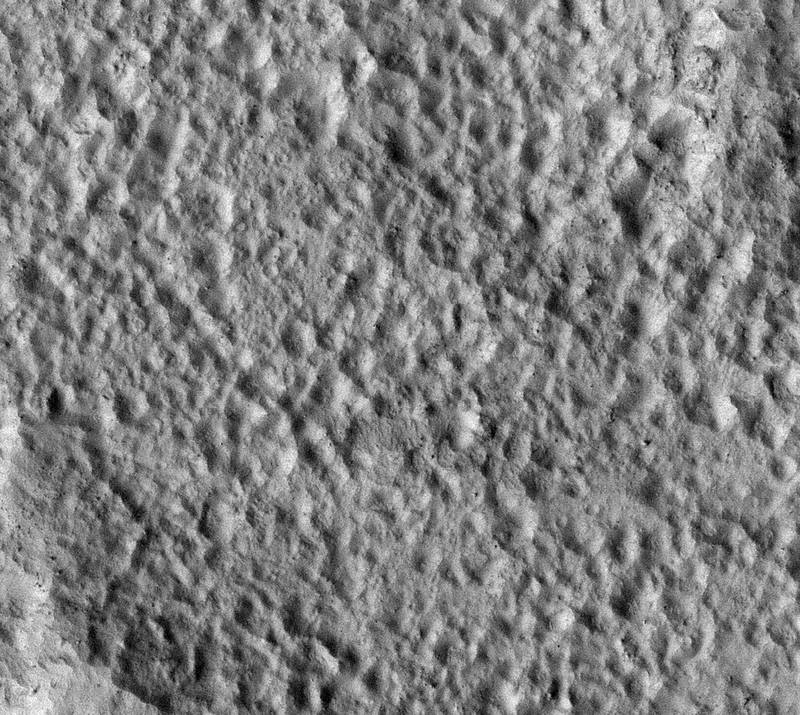 The intercrater plains have a pitted texture full resolution thought to be caused by water ice sublimating and leaving depressions behind. Unlike that of Earth, the obliquity (tilt of the planet's rotation axis) of Mars changes wildly. Earth has the Moon to keep its axis stable, but Mars' satellites, Phobos and Deimos, are not massive enough to do the same. Today Mars' obliquity (25.19 degrees) is similar to that of Earth's (23.45 degrees), but this has not always been the case. As the obliquity changes, the portions of Mars that receive the most sunlight shift. During periods of high obliquity, polar regions receive the most sunlight. This causes polar ices, including water ice and carbon dioxide ice, to sublimate (evaporate) into the atmosphere. They would then potentially be re-deposited in the mid-latitudes, similar to where this image is located. It is believed that this process is responsible for the mid-latitude mantled unit.